The U.S. Food and Drug Administration (FDA) is also guilty of this hypocritical stance. 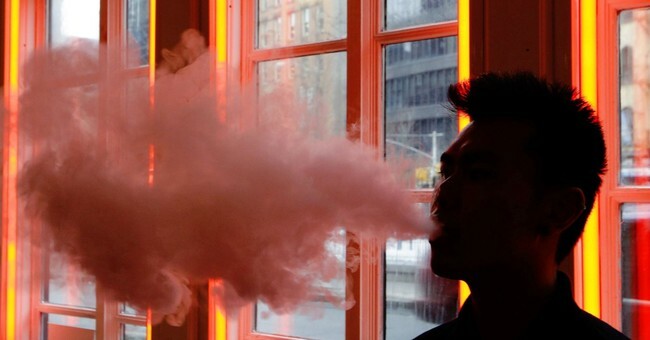 In September, the agency declared a “youth vaping epidemic,” even though vaping has been proven to help people stop using much more dangerous tobacco products. In its crusade toprotect the children, FDA has mounted an assault against tobacco harm reduction (THR), and it has even hinted that it may restrict THR access to adult users, too. Meanwhile, a real epidemic, one that killed more than49,000 Americans in 2017, continues to engulf the United States: the opioid crisis. And FDA—the agency supposedly“responsible for protecting the public health”—remains silent as a mouse. Federal action (or lack thereof) on the opioid crisis goes back to 2002, when aSenate hearingwas called to assess the risks and benefits of OxyContin. OxyContin is a prescription opioid painkiller manufactured by Purdue Pharma, one of several defendants in more than100 lawsuitsin states and localities in which plaintiffs are alleging drugmakers were irresponsible in their marketing and distribution of prescription opiates. FDA was a witness in the 2002 hearing, as well as several OxyContin-addicted users. This was 16 years ago, and things have only gotten worse. Since their introduction to the market, these drugs have led to“a 4.1 increase in the total number of deaths”from opioids. Studies reveal that thousands of heroin users began misusing prescription painkillers before they experimented with heroin. In the 1960s, of those abusing opioids, “more than 80 percent started with heroin.” However, in the 2000s, 80 percent of Americans abusing opioids started with prescription painkillers, according to theNational Institute of Drug Abuse. Ignoring these facts and figures, FDA has continued to approve evenmoreprescription narcotics. For example, despite opposition from 28 governors and 11 of 13 members on FDA’s own advisory committee, the agencyapproved in 2014 the release ofZohydro, ER,an extended-release prescription painkiller. FDA hasn’t taken the dangers of opioids seriously, but, quite bizarrely, it has waged a completely unnecessary, inexcusable, anti-science war on vaping and e-cigarette products, which have been shown over and over to be effective tools people regularly use to quit using combustible tobacco products. The basis of FDA’s opposition to THR products is that youth vaping supposedly leads to cigarette smoking. However, this is a false narrative, as a mountain of evidence shows. For instance, despite the fact vaping has become increasingly popular over the past decade, youth smoking has plummeted and is now at anall-time low.Further,researchshows restricting youth access to THR products actuallyincreasesyouth combustible cigarettes smoking. If FDA wants to fulfill its goal of “protecting the children” and improving public health, it ought to address the opioid epidemic that it helped to create and has been devastating Americans for nearly two decades, and it should stop blocking THR products, which are unquestionably effective tools for those looking to quit using tobacco products. Lindsey Stroud(lstroud@heartland.org)is a state government relations manager at The Heartland Institute.